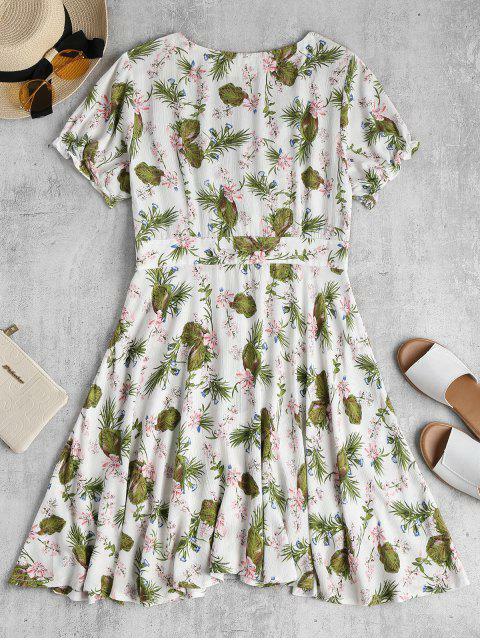 [44% OFF] 2019 Floral Midi Skater Tea Dress In WHITE | ZAFUL ..
Wasn’t sure about the pattern at first but now I’m pretty sure I’m in love! Super cute and flowy, will probably wear a slip or something underneath but still cute! Wasn't a fan of the pattern once I saw it in person, but still a great dress! Runs TTS but is smaller in the chest region if you are larger breasted. Viene muy grande y largo para ser una talla S, se ve ligero pero otra vez la talla está mal. 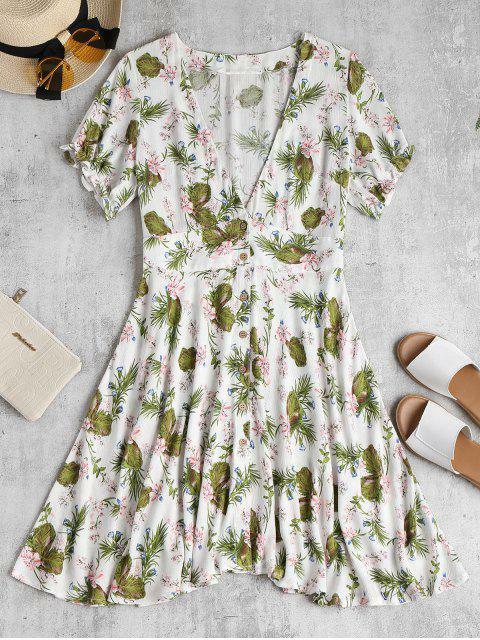 Tea dresses are completely on trend and there's no better way to wear it than in our floral print button through dress. 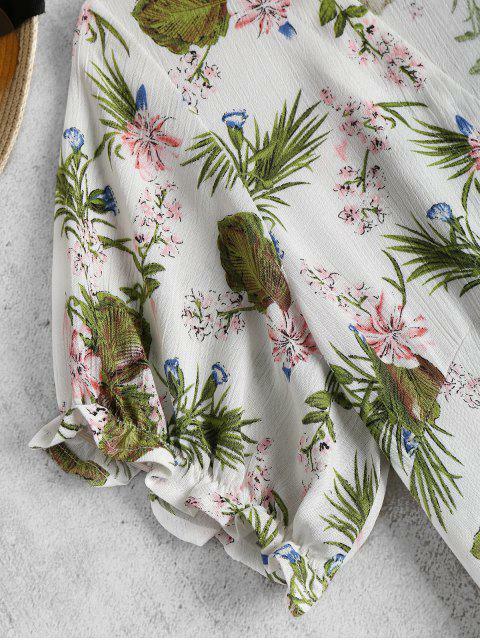 It features a deep V-collar, short sleeves with elastic cuffs and button through front detail.